This powerful Benchtop Dishwasher fits perfectly into your kitchen space and gets your dishes sparkling clean with seven different washing programs. 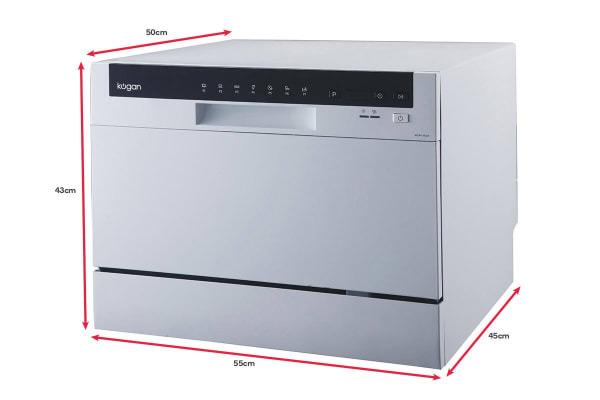 Battle piles of dishes with ease with the Kogan Benchtop Dishwasher. This perfectly-sized appliance fits seamlessly into your kitchen space and adds some style while taking over all those dishwashing chores. Not only does it have the capacity to handle varying dish sizes – it also comes with convenient features like the foldable cup holder and removable cutlery holder! 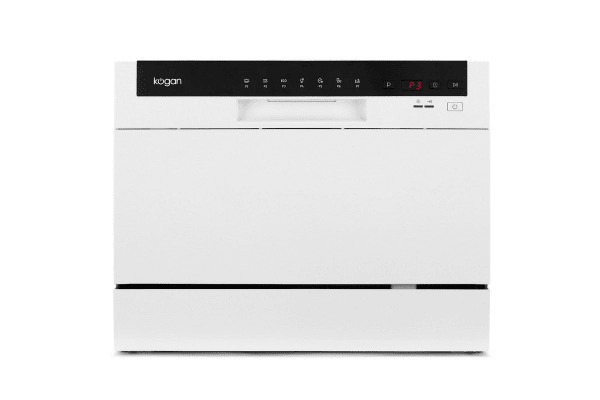 With 7 different functions, this intelligent Kogan Benchtop Dishwasher lets you select the perfect program to give your dishes the best clean each time. The range of settings, right from the glassware setting to the heavy setting, ensures that your precious glassware, plates and cups get the TLC they need without the risk of damage, while your heavy duty home vessels or even small utensils get a thorough cleaning too. 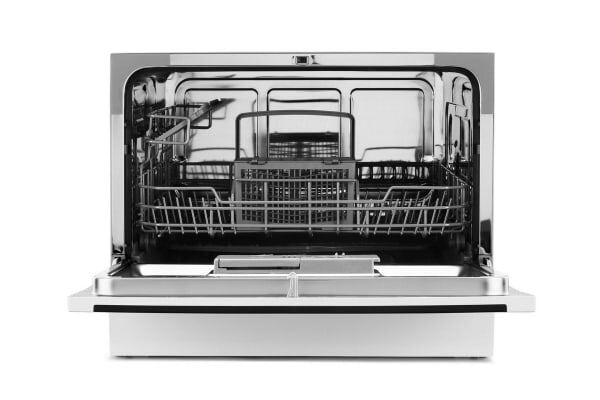 Thanks to its in-built delay function, this super convenient dishwasher lets you set the cleaning to begin at a later time, so you can enjoy more freedom and flexibility!